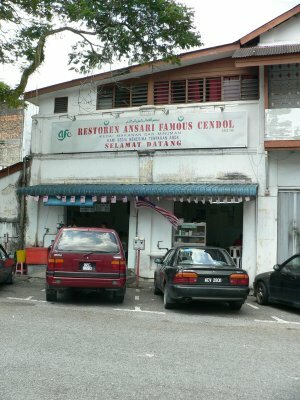 This is said to be the best and most famous cendol in Taiping. Even then name of the shop has the word "famous" in it. Location: Jalan Chung Thye Phin, between Jalan Stesen and Jalan Taming Sari. It is a one way street, so you can't enter directly from Jalan Stesen. This is not my first time having it. When the weather is hot in Taiping, this is something not to be missed. They have a few varities: plain, kacang (red bean), pulut and kacang+pulut. I've only tried and plain and kacang ones. However, he recommended the pulut variant, which I will try the next time. Overall, the cendol is quite good. 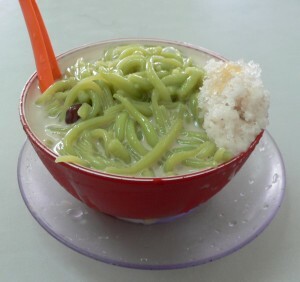 Typical Indian type of cendol. Moderate amount of cendol, santan, sugar and kacang. 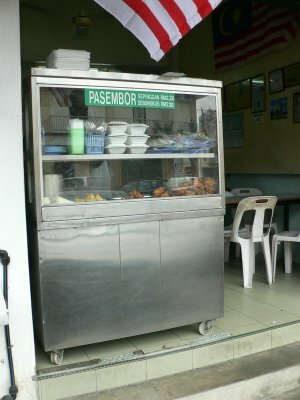 They also serve Pasembur (aka Rojak in some places), which is quite good as well. Don't have a picture this time. The place is clean. There are ample parking spaces in front of and near the shop. In Taiping, you need to pay the parking meter, even on weekends and public holidays.